This photo was taken on the first day we met Muffin Rabbit and decided to make him a part of our family. 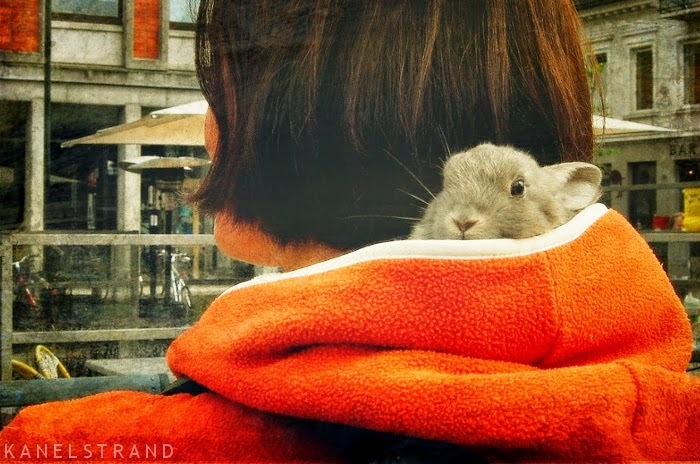 He chose my hood for the walk around town. Now that I know him better, I wonder why he didn't wet me all over. Pure luck.